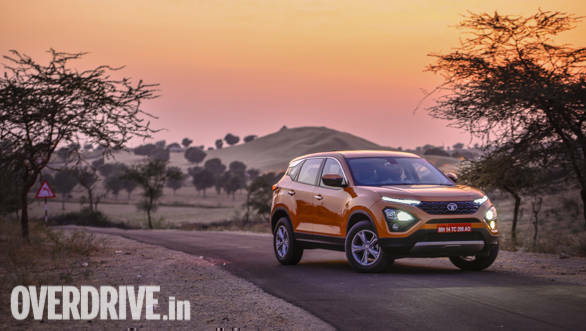 It isn't even one full year since the Tata Harrier started its journey as the H5X concept, and it is time already for it to march into hotly contested the premium-compact SUV segment. That said, I have no doubts in saying the Tata Harrier has been the most highly anticipated SUV of 2018. And why not  it is the most premium SUV from Tata Motors yet, as also its first product to be co-developed with Land Rover. Some of the anticipation for it is also courtesy the innovations, technology and features it comes equipped with, information about which has been fed to us via a steady drip-feed over the past few months. Needless to say, the Harrier is of strategic importance for Tata and the manufacturer is betting big on it. The launch may be a month away, but we got to drive the Harrier around the sand dunes of Rajasthan. Read on to know more. The Harrier is expected to bring a whole new set of buyers to Tata Motors' showrooms. It is based on Tata's Omegarc or Optimal Modular Efficient Global Advanced Architecture platform, a derivative of Land Rover's D8 platform that underpins SUVs like the Land Rover Discovery Sport, Range Rover Evoque and Jaguar E-Pace. Neat! Of course, the Omegarc has been tweaked for Indian conditions with extensive use of high strength steel, but we're told all the architecture hard points have been retained. The suspension has been worked upon by Land Rover and Lotus both, the latter working on the rear suspension in particular. Sounds interesting, no? Most of the design traits of the H5X concept have been carried over. The distinctiveness of the Harrier's face grabs your attention first thanks to the LED daytime running lamps sitting right on top of the Land Rover inspired, piano-black finished grille like a set of eyebrows, while the headlamp units sit way below. I'm not a huge fan of this design language, but admittedly the Harrier's face is a well-executed design with a futuristic vibe. In fact, the design makes for a very chic, European look, unlike any other Tata car. 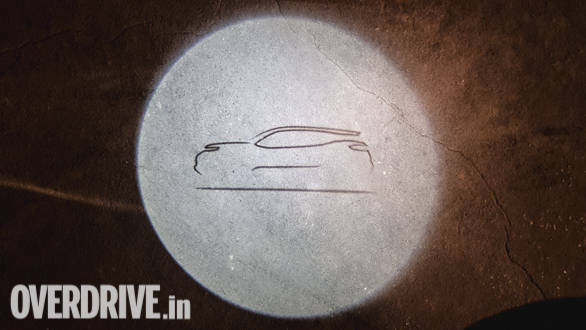 The DRLs are shaped like bolts of lightning and also function as turn indicators, adding to the upmarket feel. Headlamps on the top, XZ variant are Xenon HID projectors. Mirrors are large and chunky and compliment the SUV's butch looking front well. 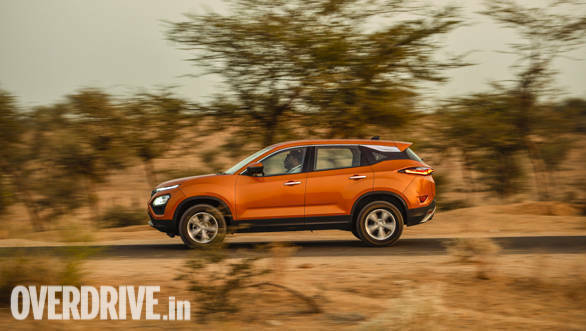 Most importantly, the Tata Harrier stands tall and looks like a proper, purpose-built SUV, unlike many of the new-age crossovers and has a commanding presence on the road. It's ground clearance of 205mm helps as well by adding to its stance. Move to the side and you'll almost be surprised by the Harrier's length, as it is a big SUV with an overall length of 4,598mm. Flared wheel arches add to the muscular design, as do the fat, 235-section, 17 inch Good Year Wrangler tyres. The rear looks very distinctive thanks to the three-dimensional design of the tail lamps as also the gloss black strip connecting them from end to end. The rear three quarter in fact is my favourite angle to look at the Harrier, as it looks unlike any other SUV in the market from the angle. I also liked the fact that there aren't any badges on the tail gate except for the Harrier name, which has been placed interestingly, right in the centre, under the number plate. Paint quality and fit-finish levels are good overall, but, close inspection did reveal a few uneven panel gaps in some places, which is something I am hoping will be taken care of by the time the Harrier is launched. On the whole, the Harrier is certainly a head turner especially though, with its unique looking front end and overall muscular design. The Harrier's interior design and the generous use of leather inside impress a lot. Taking centre stage on top of the dashboard is a floating, wide-format 8.8 inch touchscreen with a crisp resolution. 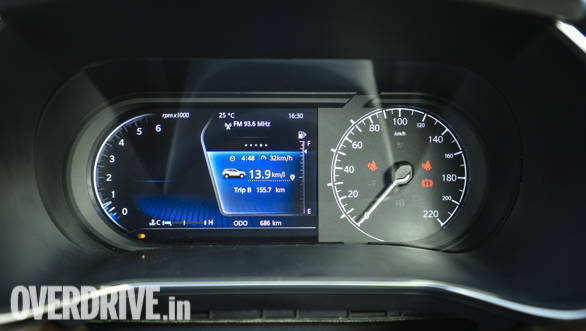 Tata Motors has been focusing on extensively on dashboard designs of late and the Harrier's dash looks and feels very premium. 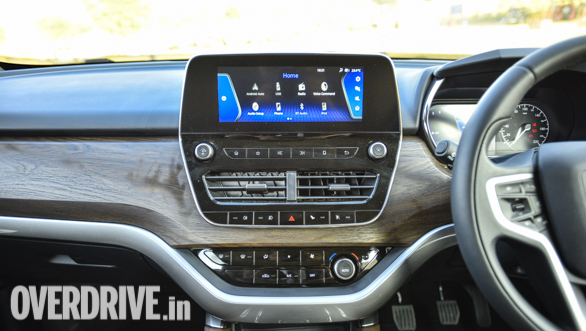 Not just that - fit-finish levels inside the cabin are the best we've seen from Tata yet which adds to the Harrier's appeal as a premium SUV, apart from which the design of the dashboard is clean and looks very pleasing to the eye. The choice of materials and surface finishes across the cabin is commendable too. The top of the dashboard is covered in soft touch plastic from end to end, followed by a faux textured wood finish on the central rib. Move further down and there's a perforated leather-wrapped cavity to stow away knick-knacks. This deep cavity is also home to the USB port for connecting smartphones unfortunately, and it is really hard to use the USB slot without having to stoop down to search for it! Door panels sport the same perforated brown leather as the seats which adds to the cabin's premium feel. The parking brake lever looks like an aircraft's thrust lever and while it does look fancy, it takes up a lot of space and also tends to hit items placed in the cup holders behind it when lowered. The steering wheel looks familiar but has more buttons on either side, though thankfully getting used to them is easy. Another highlight in the Harrier is the part digital instrument cluster which features a 7 inch display integrating the tachometer. It also offers lots of information and can even mirror some of the functions of the infotainment screen like music, navigation etc. However, the tell-tale lights on the display could certainly be made larger, as they are too small and are positioned in the bottom left corner of the display, making them extremely easy to miss. The speedometer is a regular analogue unit and sits on the right side of the screen. And while we're talking about the interiors, the Harrier's AC deserves a mention here as well, for its excellent cooling abilities. December isn't really the month to test a car's air-conditioning, but we found the Harrier's AC powerful enough to cool its big cabin very quickly, to the point of the driver and front passenger beginning to feel cold. Seats are plush and comfortable and the driver also gets adjustable lumbar support. That said, finding one's sweet spot for the driving position isn't the quickest affair, a common complaint with Tata cars. I also wish the side-bolstering for the driver's seat was designed better in terms of its contours. I did like the view from behind the wheel though as you sit tall and get a towering view of the edges of the hood and the road ahead. The steering wheel offers tilt and telescopic adjustability both, which is welcome. Most importantly, the Tata Harrier is one of the largest vehicles in its segment, which translates to lots of space inside be it at the front or the rear or the boot. Driver and passenger have plenty of space to move around at the front, while the rear bench is comfortable thanks to its good recline angle and underthigh support. The rear seat also offers lots of legroom, even with a six footer in front, which is excellent. Given the seat's contours seating three persons abreast shouldn't be an issue either. Cubby holes are abound at the rear too, including an additional slot in the door panel to place your cell phone or wallet. The B-pillar has air-conditioning vents for rear seat occupants, which offer decent ventilation. The boot is spacious and offers a volume of 425 litres, which is impressive. The infotainment system offers Apple CarPlay and Android Auto connectivity, while the music system boasts good acoustics as it has been tuned by JBL and plays audio via 9 speakers. Drive modes are a standard Tata affair  Eco, City and Sport and can be changed via buttons below the infotainment screen. Additionally, the Harrier also gets a rotary knob that lets you select from three Terrain Response Modes. This is isn't as advanced as the system on the Land Rovers though, as the Harrier is not a four-wheel drive SUV. The knob lets you choose from Normal, Rough and Wet modes which alter the traction control settings depending on your choice, apart from which the Harrier gets hill hold and hill descent functions as well. The Harrier also comes equipped with niceties like auto headlamp on, rain sensing wipers, rear parking sensors, rear parking camera with switchable views and a cornering function for the fog lamps, though I would have liked powered adjustment for the driver's seat at least. On the safety front the XZ variant comes equipped with six airbags while dual airbags are standard across the range. There's a brake disc wiping function as well, which applies the brakes extremely mildly to clean the discs if sensors detect the presence of water or dirt on them. ORVMs also use a projector beam to create the Harrier's silhouette in the dark on the road below instead of regular puddle lamps, inspired by the Range Rover, which is something buyers in the segment are sure to appreciate. Under the Harrier's hood is the Fiat-sourced 2.0-litre four-cylinder diesel engine, dubbed Kryotec by Tata Motors. It has been detuned in the interest of better fuel efficiency (Tata Motors has not revealed the Harrier's claimed fuel efficiency figure yet). 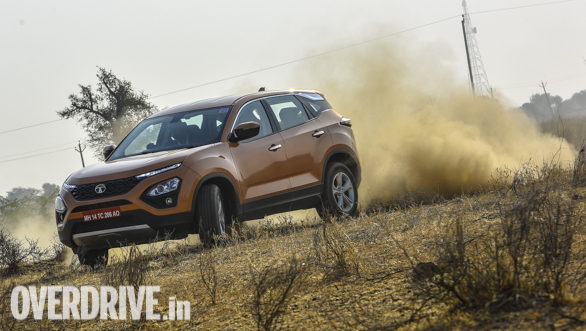 The engine offers 140PS in this guise, unlike the 173PS it offers in the Compass, though the torque output for the Harrier is identical at 350Nm. The engine is mated to a six-speed manual gearbox and this is the only engine-gearbox combination on offer currently and while an automatic transmission is expected, there is no time line for that yet. The engine is a familiar one and feels sprightly off the mark. In fact engine performance is good enough for you to not find the Harrier to be underpowered as compared to the Compass with its acceleration, and it also build revs quickly. The clutch is light for a diesel, but pedal travel is too long, which makes it slightly cumbersome to use till you get used to the bite point. And almost every time I got on or off the throttle, there was a bit of noise from the engine compartment which felt odd. The gearbox is pretty good to use though, but having said that I wish the shift quality was slightly better. 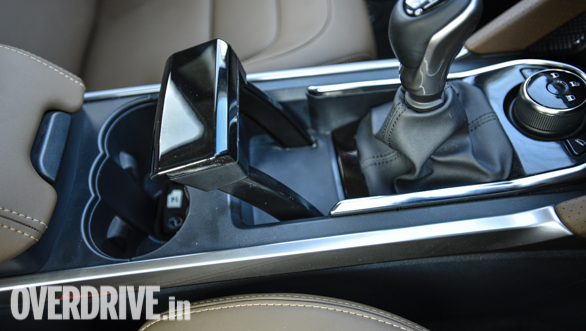 And one thing that might disappoint some buyers is the lack of the option of an automatic transmission in the Harrier, especially those looking to drive in metropolitan cities where rush hour traffic can be a serious concern. I felt engine refinement could have been half a notch better, apart from which the engine also makes itself audible at high revs. But unfortunately, the 2.0-litre Fiat diesel engine is a noisy one by nature, though better sound insulation should help in making the cabin quieter. Tata Motors has assured us that the cars we drove were pre-production units though and that these issues will be taken care of in production vehicles. There's noticeable amounts wind noise at high speeds as well, due to the large size of the ORVMs. But smaller mirrors wouldn't have looked good given the Harrier's large dimensions, which is a bit of an issue too. Where the Tata Harrier impresses the most though is its ride and handling package. This is where the efforts put in by the engineering team shine through. 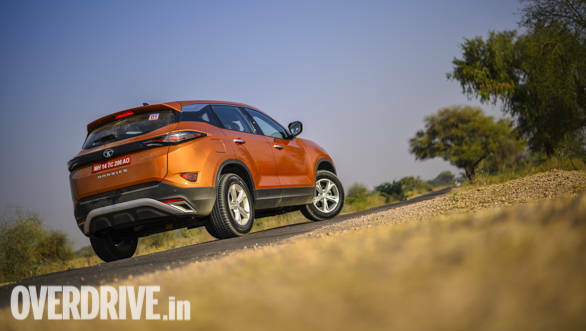 Expectedly, the association with Land Rover for the platform and Lotus for the suspension tuning has helped Tata Motors get the Harrier's dynamics spot on. The Harrier uses the same independent suspension as the Land Rover Discovery Sport upfront, though at the rear it uses a semi-independent 'twist blade' setup. The suspension did an excellent job of soaking up some of the worst of potholes and ruts during my drive. In fact on a couple of occasions I expected the suspension to make a loud crashing noise but neither did it make any noise nor did it let any of the shocks reach me, which is seriously impressive! Rajasthan's arrow straight roads meant there were barely any corners to chuck the Harrier into to check for body roll but high speed lane changes were an indication that roll is well controlled. In fact high speed stability is excellent, with the Harrier staying well-planted. And interestingly Tata Motors has gone in for a hydraulic power steering unit  there's a little dead play when the wheel is straight, but as soon as you start turning the steering feels direct and offers good feedback too. While this might be old school, I still find hydraulic steering systems to offer better feedback than electric ones. On the whole, Tata Motors has really nailed the ride and handling package on the Harrier, so if you are a driving enthusiast, you are sure to appreciate its dynamics. 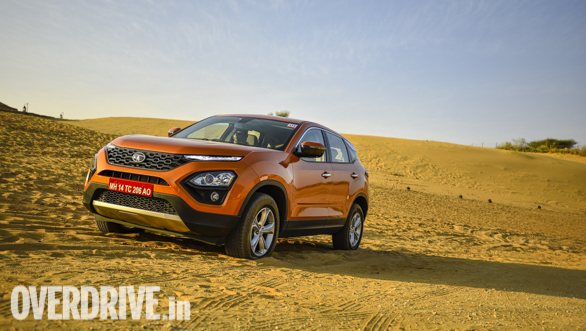 Especially since the Harrier is easily one of the best handling SUVs from Tata Motors yet. The Tata Harrier gets launched next month in January 2019 as Tata Motors' first salvo of the year. The manufacturer has worked meticulously on getting various aspects right with this one, also learning from its previous mistakes. The association with Land Rover for the project is clearly bearing some good fruits as well, given the Harrier's impressive dynamics. 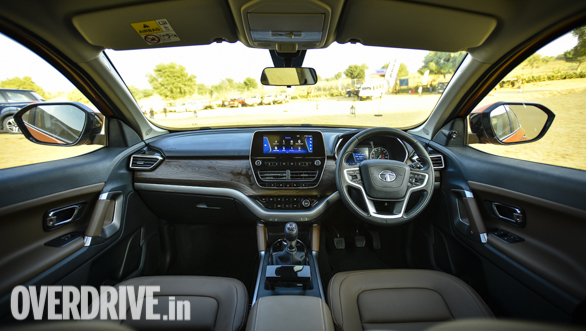 Tata Motors' efforts in terms of making the Harrier a likeable package as a premium SUV overall are commendable too, given the equipment levels, space, ambience inside the cabin and more. The SUV still very few, (tiny!) rough edges that need to smoothened out and I am hoping the production versions will come without the minor niggles our test cars had. 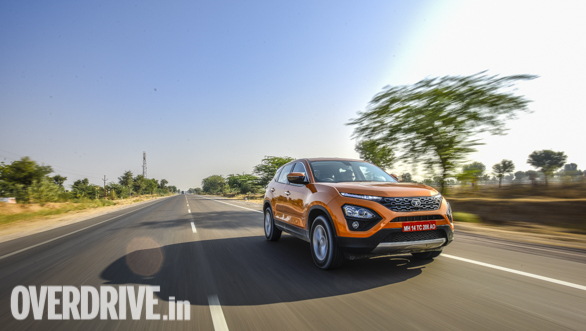 When it goes on sale, the Tata Harrier will compete with the segment's best-seller, the Hyundai Creta, as also the Jeep Compass, Renault Captur and even the Mahindra XUV500. That's a serious list of competitors which means the SUV will have its task cut out right from the word go. Pricing will obviously play a key role and we expect the Harrier to be priced between Rs 13 lakh to 18 lakh ex-showroom, given the equipment list. Tata Motors is clearly putting its best foot forward this time and it should be interesting to see how this 'Harrier' takes flight.